Which meat grinder can grind bones? 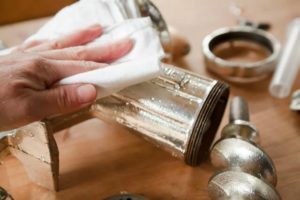 How to clean and care for your meat grinder? If you’re looking to purchase a meat grinder but have no idea which one to go for, this guide will help you choose the right grinder for your requirements. With so many available, all offering a similar function making the right decision can be difficult; here are a few pointers to help you out. What can you do with a meat grinder? Is it possible to make sausage with a meat grinder? Can my meat grinder be used for grinding bones? Using it inside or outside? What size should you go for when selecting a grinder? How heavy are meat grinders? Meat Grinder Accessories – are they important? What purpose do grinder plates serve and how should I use them? What if you own a stand mixer already? Does my meat grinder require maintenance? Which is better; knives and grinder plates made of carbon steel of those made of stainless steel? Summary – which grinder fits the best to you? Both electric and manually operated grinders are ideal for processing different types of food. Though generally known as “meat” grinders, these machines are ideal for processing vegetables, cheese, and nuts. Fruit Sorbet: Prepare a mouth-watering fruit sorbet by mixing bananas with mangoes and strawberries, and then grinding using a meat grinder. Next, store in the freezer to cool. Nut butter: Preparing this is quite simple. Simply mix almonds with peanuts, place the mixture in a meat grinder and then grind. Baby foods: Meat grinders can be used for preparing baby food peas, vegetables, fruit and cooked meat. 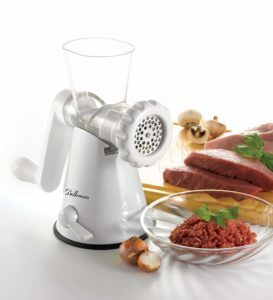 Cheese crumbles: Meat grinders are ideal for preparing parmesan crumble and every other form of hard cheese crumble. Meat Pate: Simply add cooked meat into your grinder and then grind till meat plate is produced. The list is endless. Only let your imagination guide you. sausage stuffing tubes, used for stuffing sausages. Most manufacturers include at least two stuffing tubes into their grinders, but you can always buy them separately at low prices. Only ensure that the stuffing tube you buy matches your grinder well. It is quite tasking and challenging to produce sausages using hand-powered grinders. Firstly, feed the meat before grinding. Next is for the handle to be cranked steadily by someone on one side, while another manipulates the grinder’s sausage casing. But with electric grinders, sausage stuffing becomes easy. This is because the grinding is handled by the grinder’s motors, which in turn makes it possible for the sausage casing to be stuffed evenly. Installing sausage stuffer onto your grinder makes stuffing much easier. This is particularly useful if your grinder will be stuffed with sausage in large quantities. It is very rare if a meat grinder is capable of grinding bones with ease. This holds true even for heavy duty meat grinders. Manufacturers most times indicate this on their grinders because bones are too strong for motors to grind, and any attempt to force them would result in the damage of internal gears. Manufacturer’s warranty on your grinder will automatically become voided when bones are ground in it. Interestingly, some models of grinders have been designed to efficiently grind soft bones such as that of a rabbit and chicken. As you would expect, grinders with powerful motors not only last longer, they can effectively grind soft bones. If you are grinding soft bones most of the time, we recommend going for grinders with higher power rating, with interiors made entirely of metals. After much experimentation, we discovered that LEM grinders beat the rest when it comes to grinding soft bones, thanks to their powerful gears made entirely from metal. However, it is not a good idea to grind bones of pork, beef, and pork as they will most likely ruin your expensive grinder. This is probably the most important factor out of all of them. It may seem odd to some even to bring this up if an electronic version will do the same function, then why would anyone choose a manual? The answer, of course, is simplicity and price. Many people prefer something that they are confident in using and can carry out the job quickly and efficiently. Something like the Bellemain manual meat grinder or the Gideon Hand Crank is a good example of a simple, manual design at an affordable price. Of course, the simplicity of using a manual meat grinder comes at a cost; often using one can require quite a bit of effort, particularly if you are planning on grinding a large quantity of meat. An electric version can do this effortlessly and would better suit anyone that wants to grind a lot of meat in one go. The guaranteed power that comes with an electric meat grinder can quickly deal with any larger or tougher chunks of meat, in comparison to a manual. If your meat still contains bones an electric grinder will power through this, whereas manually, additional effort would be required to continue grinding at the same consistency. All electric models will have a gear system inside, which of course, on occasion can go wrong. If you stick to the manufacturer’s recommendations, it should all run smoothly for a long time to come, but running your grinder over capacity can cause irreparable damage that wouldn’t be associated with a manual meat grinder. If you prefer to use your meat grinder at the kitchen table, or even outside, connecting to a power source could be an issue and going for a manual may suit your needs better. This also gets wires out of the way if perhaps you want to get the kids involved. This will entirely depend on the quantity of meat that you intend to grind. While there is no doubt that a commercial model such as Weston no. 22 will offer more power than smaller domestic models; if you only plan on using it to grind a small amount of meat on an infrequent basis you will not be getting your money’s worth. You might as well opt for something in a lower price bracket that will better suit your needs. Noise levels may also be a consideration for some. All electric models will produce a certain amount of noise, which obviously wouldn’t happen with a manual, but with the added power that comes with a commercial model comes a louder sound. If you’re looking for something heavy duty, but on a domestic scale, something like the STX 1800 MG Magnum may best suit your needs. Prices between grinders can vary widely from more affordable models such as the Cuisinart MG-100 to something like the LEM 8lb model, all the way to the top of the range grinders such as the Waring Pro MG-800. The advice would be not to let the price dictate which model you buy, get the one that is most suitable for your needs. Some are more robust than others; a stainless steel model will almost always outlast a plastic one, so if your grinder is going to get regular use perhaps opt for one of these. Storage should also be taken into account. 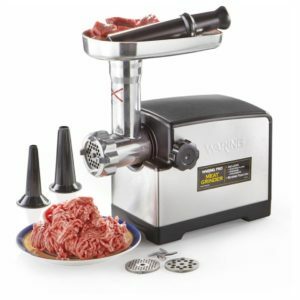 If you are thinking of purchasing a meat grinder, where are you going to store it when it’s not in use? It’s likely that you have a whole host of other appliances in your kitchen, so where does this one fit in? If you want it on display models such as the KitchenAid, that look good and offer multi-functionality but do come at a price. As a general rule, a manual grinder will be smaller than an electronic one and can easily be stored out of sight when not in use. 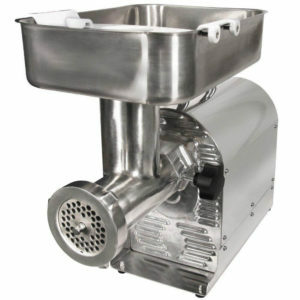 A meat grinder of large size can comfortably handle large volumes of meat, and at a faster rate. The rate is measured in pounds/hour. If you prefer manually operated meat grinder, do bear in mind that grinders of larger sizes require greater efforts when turning the crank. To make things easy, most large sized meat grinders have a long crank handle which lessens your job when grinding meat with them. But if you have a preference for electric grinders, it is necessary you note the power of their motors because large sized grinders have engines with higher power rating. This is because they expend more energy when grinding the large volume of meat fed into it. So as a rule; the bigger the grinder (manual or electric), the higher the cost. Big sized grinders offer more speed. However, they require greater power. The size of a grinder is determined by measuring the grinding plate’s neck diameter, neck and outlet opening. Always check for this before making purchases. #10 and #12 2 3/4"
#20 and #22 3 1/4"
The sizes captured in the chart above are the most common sizes of grinders. It also shows the how the diameter of the outlet opening corresponds to that of the cutting plate. What meat grinder plate size should I have? The holes on the plates of grinders are of different size, with some being bigger while others smaller. Plates with small sized holes measuring between 1/8”, 3/16” and ¼” in diameter are ideal for making well-ground meat which can be used for preparing hamburgers, franks, and bologna. Grinding plates with big holes of size ½” makes it possible for the meat of large size to find their way through when grinding the meat. Also known as a coarse or medium plate, large sized grinding plates are ideal for making sausages. Most manufacturers include an extra plate in their grinders. However, you can conveniently buy more plates separately. The chart below shows all the hole sizes drilled on grinder plates. It also shows the type of sausage each hole can produce. 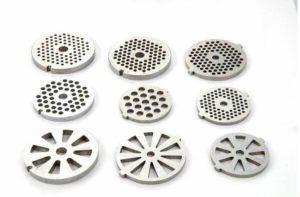 New grinding plates have sharp holes which become dull sometime later after use. It is recommended you replace your grinder’s cutting knife when replacing the cutting plate. Weight won’t make much difference if you will be doing lots of grinding. Only ensure you set out a spot on your countertop where your new grinder will seat. If you care much about good looks, then you have nothing to be worried about because most manufacturers take aesthetics into consideration when producing their grinders. You will sure have to lift your grinder as often as possible when the need to keep it off sight arises. Ensure you determine the weight of the grinder you intend buying before making purchases online, some commercial models can be heavy. Models of higher weights often come with adjustable handles as they would help make moving the grinder easy. 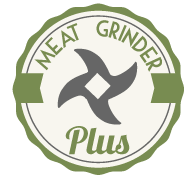 The majority of meat grinders will come with a variety of accessories, depending on what you want to use it for this may effect which one you purchase. In fact, if you already own a blender such as the KitchenAid you can buy just the grinder attachment rather than a whole new unit. Each grinder should come with at least two different plates that will dictate the size of mince that you produce. Other attachments can include various size stuffing tubes for sausage making, juicers, strainers and optional foot switches. A good example of a model with a large range of attachments would be the STX Turboforce II which comes with foot pedal control, six grinding plates, three cutting blades, kubbe and sausage stuffing tubes. 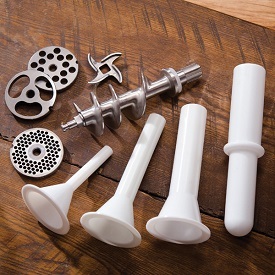 These can all add to the overall use and enjoyment that you get from your meat grinder; if you plan on using it for something specific make sure it comes with the right attachment. 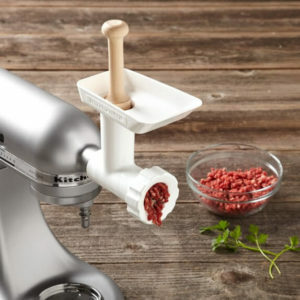 The majority of grinders should also come with a meat plunger, this is important, particularly if you plan to use your grinder for sausage making. To avoid getting air into the sausage, the meat should be tightly packed and continually fed through the grinder. This is only realistically possible with a meat plunger; if it’s sausages that you want, make sure that grinder comes with one. Sometimes called cutting plates, grinding plates are made of stainless steel or carbon, mostly round in shape with lots of holes punctured in them. During grinding, meat is pushed through the holes, and as the blades spin, the holes cut the meat at an incredible speed. Grinding plates are usually of varied sizes – only ensure that the size you pick matches with the base of your grinder where it will be mounted. Sometimes, it ‘s nice to purchase an extra grinding plate. Doing so gives you more variety from which you can select from when preparing meat-based snacks. Proper maintenance of meat grinders requires frequent replacement of the grinding plate. As a rule, replace cutting knife when installing the replacement part for the plate. 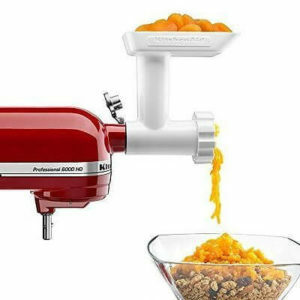 If you already have a stand mixer, you can buy an attachment that will transform it into a meat grinder. An attachment like this is perfect for people who don’t plan on grinding large quantities of meat at once. If you think you are going to be a casual user, then purchasing an attachment might be better than buying a whole grinding unit; it gives you all the functionality of a grinder at only a fraction of the price. It won’t work for large quantities, but it’s perfect for one person or a small family. It’s also good for trying out how often would you use a meat grinder. There are some models of grinders with their exteriors made of stainless steel while their plates and knives are made using carbon steel. If yours is one of them, then you must take appropriate steps in maintaining it. Carbon knives and steel plates are most of the time cheaper than those made of stainless steel. However, they are less durable than stainless steel and quickly lose their sharpness. One other advantage stainless steel plates and knives have over that of carbon steel is that rust hardly affects them. An extra level of care is needed to prevent carbon steel plates from rusting. You have to keep them in dry places or get them dipped in light coating oil. meat grinders don’t need maintenance and require very little lubrication. The dishwasher will be of no use if your meat grinder is made of cast iron. You will have to wash them manually with your hands to keep away rusting. Grinders made of cast iron must be kept in areas free of moisture to avoid rusting. Ensure you use a clean, dry piece of cloth to dry after washing. Better still, you can coat your grinder with cooking or mineral oil to guard against rusting. As for storage, it is recommended you break your grinder down, separating each component before then storing in a zip top bag. Surrounding the stored components with dry grains like rice absorbs every form of moisture, thus keeping your equipment dry at all times. In summary, buy the grinder that is going to do the job for you. There are plenty of options available in both manual and electric versions that can do each task perfectly well. If you want to pay a little more, go for it; if you just want it as a hobby, then there’s plenty of grinders on offer that won’t break the bank, and that will give you the functionality that you are after.